He is a Harvard Graduate. Though he is from California, he made it to a top university to study Economics, and graduated with honors last 2010. He is Taiwanese-American. Yup, he is of asian descent, which I think is quite obvious already with his facial features and last name. He recently got his guaranteed contract. Nobody really wanted to pay attention to him, until recently when his coach decided to let him play. He took the chance and did all he could (and he has been consistent so far), earning him his one-year contract. Now he doesn't have to sleep on his brother's couch. 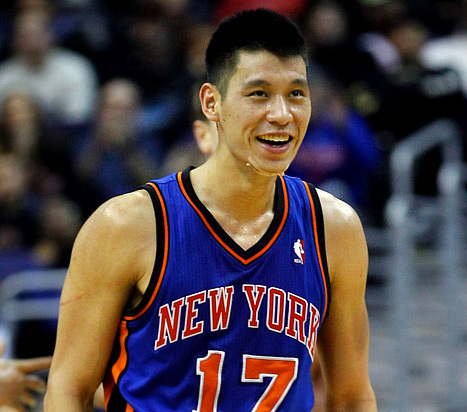 He is lincredible, linsational, linvincible, linsane, and a linspiration for all! Move over, Justin Bieber, we have a new love! Here is a highlights video of Jeremy Lin during the Knicks-Lakers game last Feb 10th.